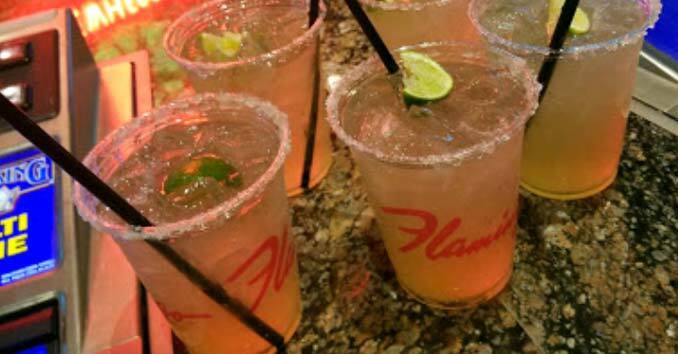 Ring in the New Year at the Margaritaville New Year’s Eve Party, overlooking the Las Vegas Strip. The party starts at 9 p.m. and for $99 you’ll get three full hours of a premium brand open bar, a live band, dancing, party favors, open seating and a champagne toast at midnight. 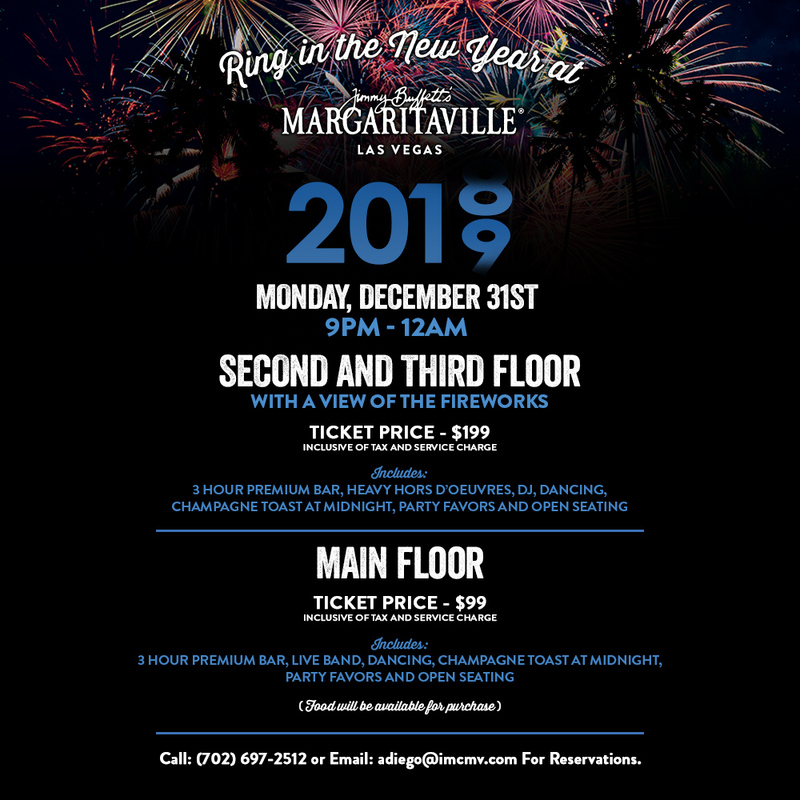 For $199, you’ll get access to the second floor and hors d’oeuvres, a three hour premium brand open bar, DJ, and a view of the fireworks on the Las Vegas Strip.